Capitol rainbow label with ''Mfd by Capitol Records Inc U.S.A.'' in the bottom rim. Issued in a gatefold cover with a 24-page booklet stapled inside. 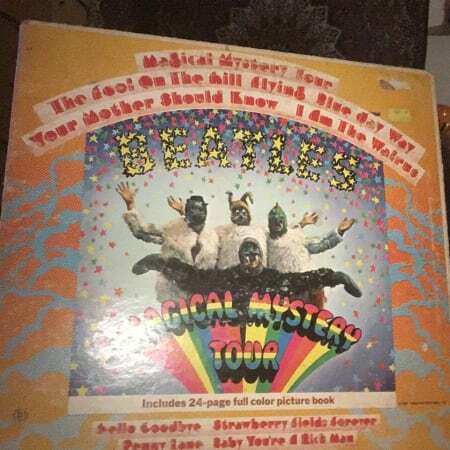 Original 1967 first US mono pressing. Black Capitol labels with rainbow rim. Gatefold jacket has a name written on the top right corner and noticeable wear to the seams/edges. Record still shines but with heavy scratches that may affect playback. Includes original bound insert/booklet. Overall an excellent collector's copy of this truly classic album. Shipped next-day in damage-proof packaging.